Everyone’s version of relaxation is different, or at least that is what we think. Someone might be cruising through the internet and stumble upon a seemingly boring video, though it triggers a calming reaction. Why is this? Society must be really stressed out if the only place we can find peace is online. One of the top trends that is circling the internet right now is called ASMR, or Autonomous Sensory Meridian Response. This feeling is a particularly odd one to describe, as it varies from person to person. 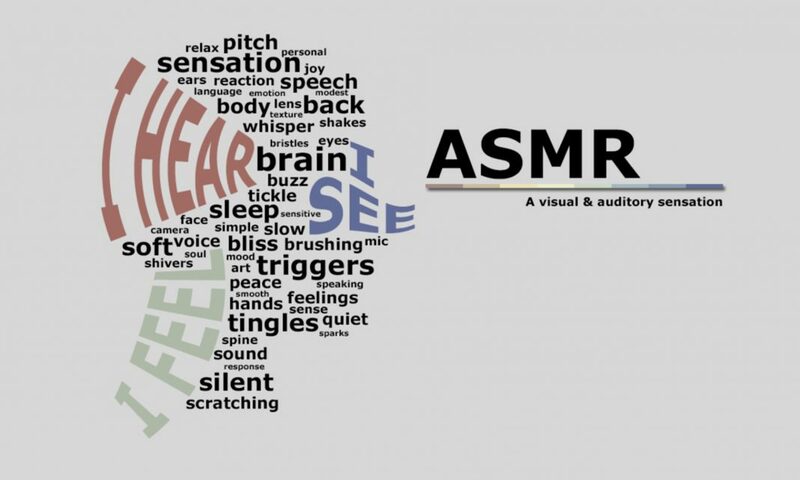 ASMR has been linked to the release of serotonin, oxytocin, dopamine, and endorphins in the human brain. Biologically, these chemicals are responsible for feelings such as happiness, positivity, social responses, and maternal awareness, according to Mr. Robert Colombo, a teacher at Riverside Secondary School. “The anticipation of this response is similar to when a person with a drug addiction is waiting for their high,” said Dr. Craig Richard from ASMR University online. Some online groups have linked ASMR to spiritual practice and meditation, as this state of mind is ideal for prayer or worship. This feeling was first named ASMR by Jennifer Allen, a cybersecurity professional in New York. Autonomous Sensory Meridian Response is a feeling that comes from the senses, with or without control as a response to this video content. The stimulants for this response often include whispering, watching someone attentively do a task, or even something as little as a hair salon visit. There is even a 12 minute long video of a pretend eye exam on YouTube that now has over 721,000 views. A survey done by Dr. Emma Barratt and Nick Davis at Swansea University found that 51% of males experience ASMR, along with 47% of women and 16% of non-binary individuals. There have been arguments that ASMR is a maternal reaction over the bonding you may have done with your parents as an infant, or from a relationship growing stronger. One self-proclaimed “ASMRist” on YouTube called GentleWhispering has over 762,000 subscribers. Some say that these videos are cultivating our digital footprint in a bad way. Others say that they are a wonderful tool that provides relief to those who may need it. Is this reliance on the internet for relaxation a good thing? The answer is whatever someone wants it to be.